You fit silicone hydrogel for your monthly and two-week patients… but why not for your 1-day patients? 3 Dumbleton K. et al (2013) A multi-country assessment of compliance with daily disposable contact lens wear; Contact Lens & Anterior Eye 36 304-312. * It is essential that patients follow eye care practitioner’s directions and all labeling instructions for proper use of lenses. CooperVision offers high oxygen transmissibility across a broad range of 1-day lenses. The world's most comprehensive silicone hydrogel 1-day portfolio. With CooperVision’s portfolio of silicone hydrogel 1-day contact lenses, you can fit virtually all patients into a 1-day contact lens that provides high oxygen, comfort and convenience. 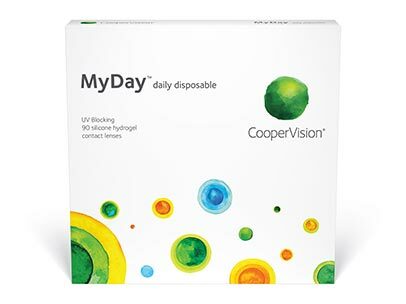 From the uncompromising performance of MyDay® to the breadth of the clariti® 1 day family, CooperVision has you covered. Be your patients’ most trusted expert. Get to know our silicone hydrogel 1‑day portfolio. Featuring Smart Silicone™ chemistry, this lens delivers on everything and compromises on nothing. 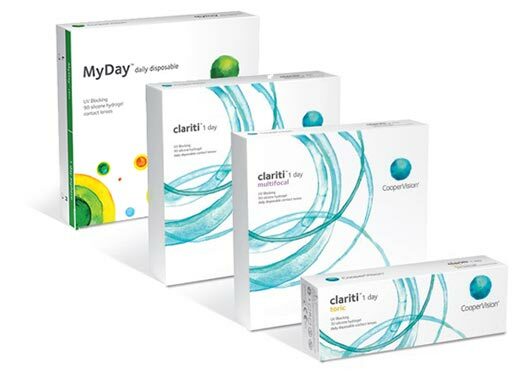 MyDay® is everything a contact lens should be. Smart Silicone™ chemistry and an advanced lens design. 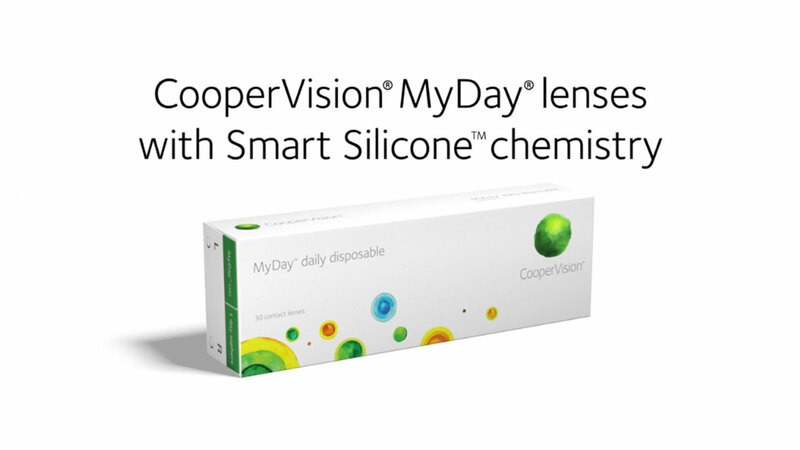 Only CooperVision's MyDay® lenses feature Smart Silicone™, a revolutionary breakthrough in lens chemistry that takes the performance of silicone hydrogel 1‑day contact lenses to the next level. MyDay's technologically advanced silicone channels transport oxygen so efficiently that less raw silicon is required, leaving more room for hydrophilic material. The result: a contact lens that is soft, water-loving and comfortable—with high oxygen transmissibility. The world’s first and only family of silicone hydrogel 1-day contact lenses — available in sphere, toric and multifocal. Now you can prescribe the ocular health advantages of silicone hydrogel plus excellent all-day comfort for your 1‑day patients. And, CooperVision's clariti® 1 day lenses make upgrading your patients to silicone hydrogel easy. 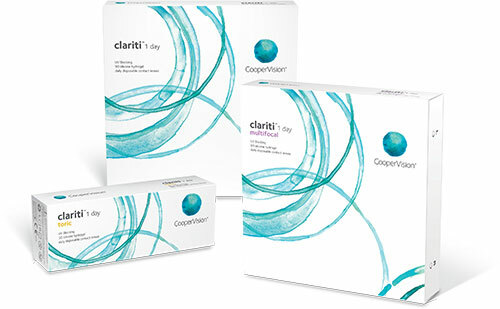 At the price of conventional hydrogels, switching into clariti® 1 day lenses is an affordable option for your patients. Offer your 1-day contact lens patients a healthier lens‑wearing experience. When you prescribe CooperVision silicone hydrogel 1-day lenses to your patients, you’re providing more than just vision correction. 4 Warning: UV-absorbing contact lenses are not substitutes for protective UV-absorbing eyewear, such as UV-absorbing goggles or sunglasses, because they do not completely cover the eye and surrounding area. Patients should continue to use UV-absorbing eyewear as directed.